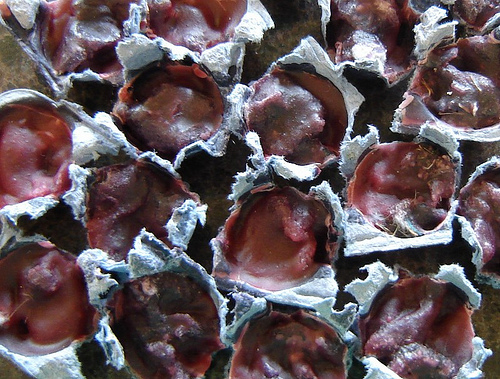 Stuff the egg carton with dryer lint. Fill each compartment. Melt paraffin or candle wax. Pour over lint until saturated. Allow to dry. Paraffin works better than candle wax in that it burns easier in wet or damp weather. You may want to set a carton on wax paper or a pan, as mixture bleeds through. Please remember paraffin is flammable, so take care when preparing. Char cloth – this dates back to at least the mountain men and early settlers. Take a tin, such as an Altoids can, punch a small hole in one side. Next insert a piece of cloth into the tin. Once this is done close the tin and place in fire. Watch until smoke steadily come out of the hole. Remove tin and set aside until cool. When you open the tin, the cloth should be charred not burned to ash. This is your char cloth. It will hold an ember and flame up easily with practice. This entry was posted in Country, God, Nature, Patriotism, Survival, Survivalist and tagged Country, https://bayouandbeyondsurvivalist.wordpress.com/wp-admin/post-new.php#titlediv, Nature, Survival. Bookmark the permalink. Would you post how to use this….do you light the entire carton or cut out one piece at a time??? You would need to cut them apart and use them one or two at a time, depending on how large of a fire you desire. Hello you have a nice site over here! Thanks for sharing this interesting information for us! If you keep up the great work I’ll visit your weblog again. Thanks!